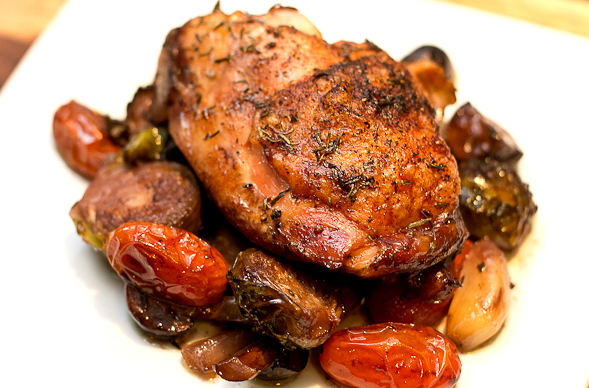 If you love the bold flavors of Caribbean food, then this recipe is for you! The first time I had jerk chicken I was hooked and wiped my plate clean. 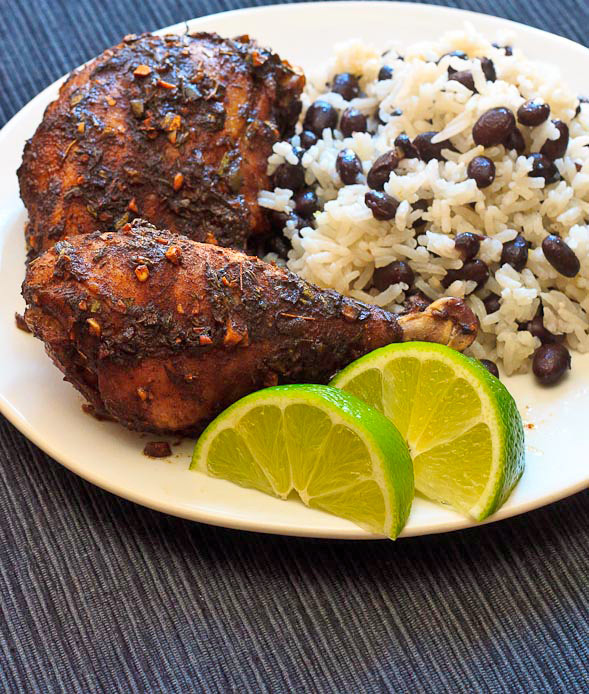 Jerk chicken seasoning is based on chili peppers and Jamaican allspice, which is one of the most important spices used in the Caribbean. The preparation is easy with just a few simple steps and some marinating. I haven’t posted in over a week, and the reason is this very recipe. 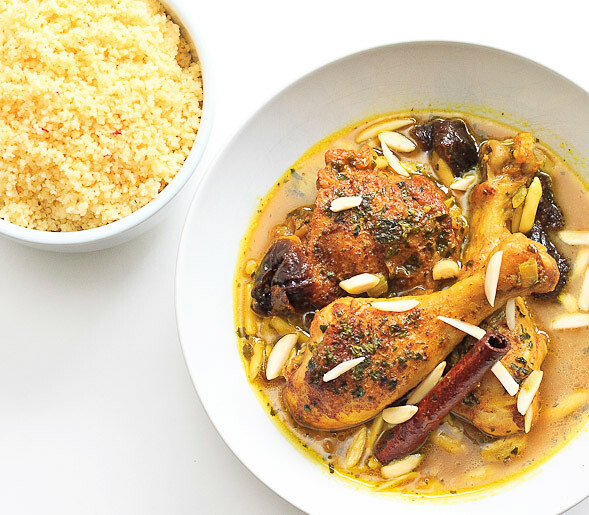 We’ve been testing this delicious Moroccan Tagine for our recipe kit venture GrubKit.com over the past week or so. I’m excited to share this dish with all of you! I think leftovers are essential if you’re a home cook. I actually prefer some dishes the next day and look forward to a meal made of leftover food. 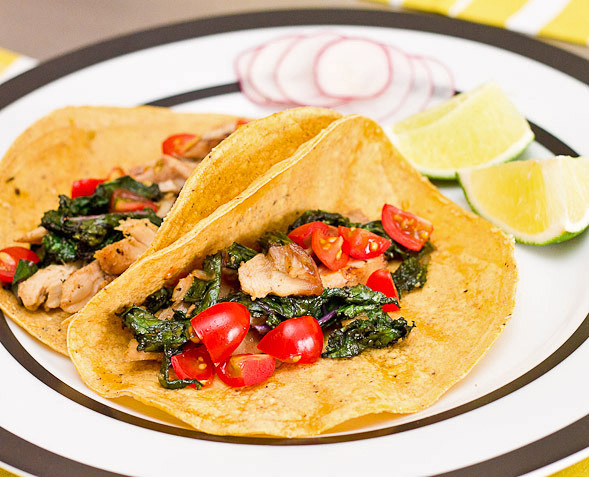 Last night I made a delicious roast chicken and consciously decided to leave a couple chicken pieces to use the next day for some easy tacos with kale and fresh vegetables. This weekend I’ve been eating ramps for breakfast, lunch, dinner or whenever I felt like having a snack. 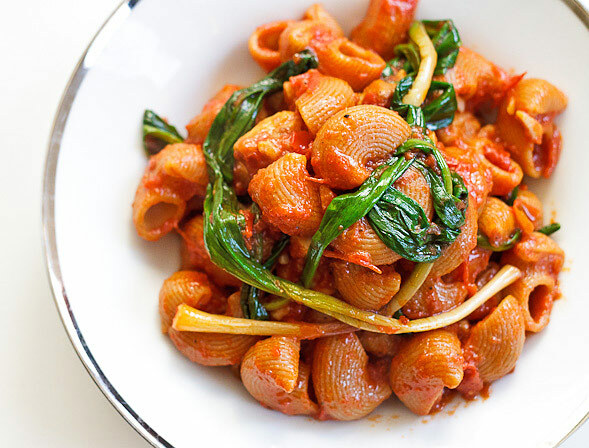 So here’s a quick pasta dish I made using my leftover 10-minute tomato sauce from the other day and about seven stalks of ramps. Feel free to mix in your preferred sauce or pasta. I used a small shaped pasta but spaghetti or linguini will work just was well. Super Bowl Sunday is fast approaching! 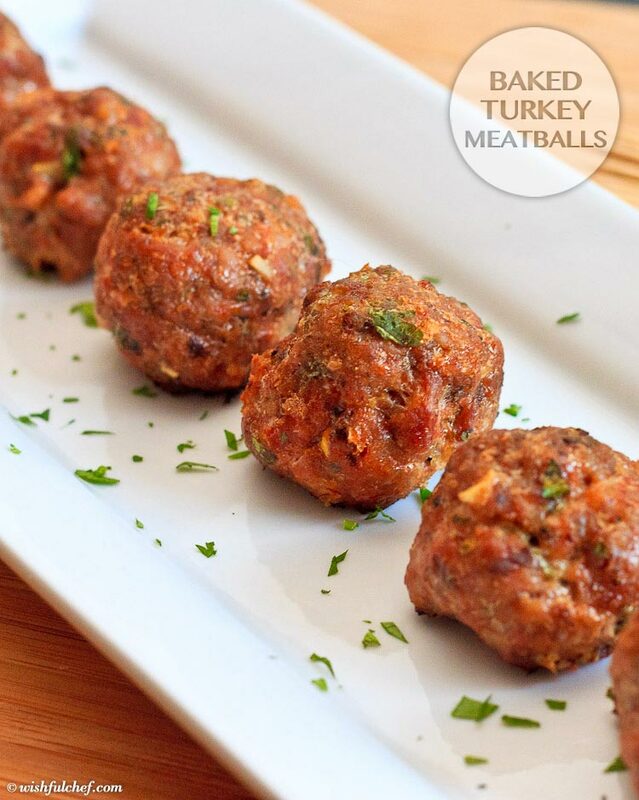 If you haven’t decided what to make for your football party, meatballs are a popular appetizer. You can easily make them in advance and it’s the perfect finger food. I used lean ground turkey and baked the meatballs for a healthier alternative. Pair these meatballs with your favorite dip or add into your tomato sauce for classic spaghetti and meatballs. Here is the follow-up post to my spiced carrots which is loosely based on a recipe by Eric Ripert. 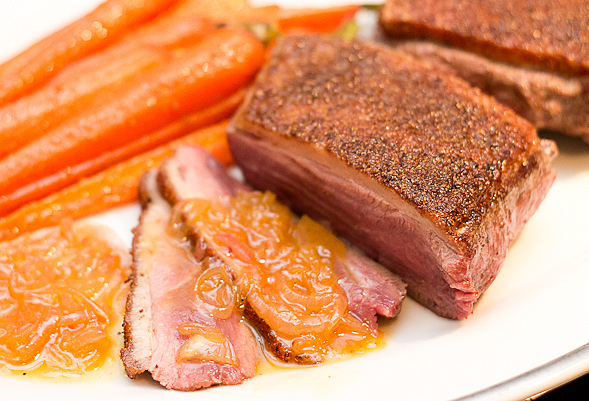 Essentially it’s a twist on the French classic Duck a l’Orange, a wonderful combination of flavors that complement each other perfectly. My first taste of it was actually in Germany during one Christmas when my mother-in-law made it with a side of crispy croquettes, small ball shaped mashed potatoes which are lightly breaded and fried. I was hooked! Duck is very fatty, so I don’t make this dish often. But I’ll make an exception since it’s the holiday season.